HTC made quite a statement when it announced the original Titan in the summer of 2011. Its sequel is aiming to do so as well. After all, smartphones with 16MP camera sensors are a rare sight on any market. Launched at the same time as the attention grabbing Nokia Lumia 900 during this year's CES, the HTC Titan II appears built for the sole purpose of besting the Finnish flagship's spec sheet. The HTC Titan II is hardly a revolution in the realm of devices, running Microsoft's mobile OS, thanks to the software giant's strict hardware restrictions. It only ups the original with the presence of LTE network support, as well as a beefier camera unit. But what a camera unit it is! The HTC Titan II packs a monstrous 16MP sensor, which is the biggest one, offered in a smartphone on the U.S. market. The camera alone puts the Titan II in the way of some seriously established smartphone players. Heck, it might even try and give your point-and-shoot digicam a run for their money. The first thought, which ran across our minds when we saw the HTC Titan II for the first time was whether the handset was fresh enough to carry the "II" moniker. After all, the AT&T exclusive, Windows Phone running smartphone is almost impossible to tell apart from its predecessor, especially when you look at its front. Here is our usual initial look at its pros and cons. 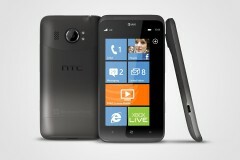 Clearly, the HTC Titan II's specs are as good as they get on Windows Phone device these days. The handset's camera might even help it find its way to the shopping lists of smartphone buyers with a knack for photography. So far so good then, we say. 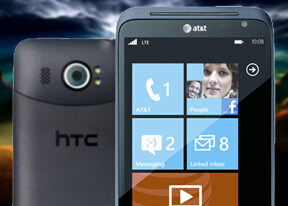 Unfortunately though, the road to success is not perfectly laid out for the HTC's latest Windows Phone creation. The smartphone was announced, and hit the AT&T shelves together with the Nokia Lumia 900, sporting double the price tag, as well as significantly lower marketing budget. With the Finnish creation getting levels of attention and media coverage, previously reserved only for Apple's iPhone, the HTC Titan II will likely have trouble getting the attention it deserves - a fact which will make it difficult for the device to sell in large numbers. In a nutshell, the HTC Titan II will have a serious challenge making it in today's market. Does the newcomer have enough to face the competition? Read on to find out. As always, we'll kick things off with an unboxing, followed by design and build quality inspection. Editorial: You might notice that this review is shorter than usual and doesn't include all of our proprietary tests. The reason is it has been prepared and written far away from our office and test lab. The HTC Titan II for AT&T is a US-only phone and it is unlikely that it gets to the shores of the Old Continent. Still, we think we've captured the essence of the phone in the same precise, informative and detailed way that's become our trademark. Enjoy the good read!